Waiting for the sun to go down on the valley, soon will be time for the train to go away. Never ever will miss that sound. A refined pop suspended in the air thanks to the clarity of a velvet voice and a bare piano. With sometimes immaculate violins (by Olivier Mancho from Clare and the Reasons), like a tight thread on which his compositions are spreading. His own thread, very different from his sister’s. 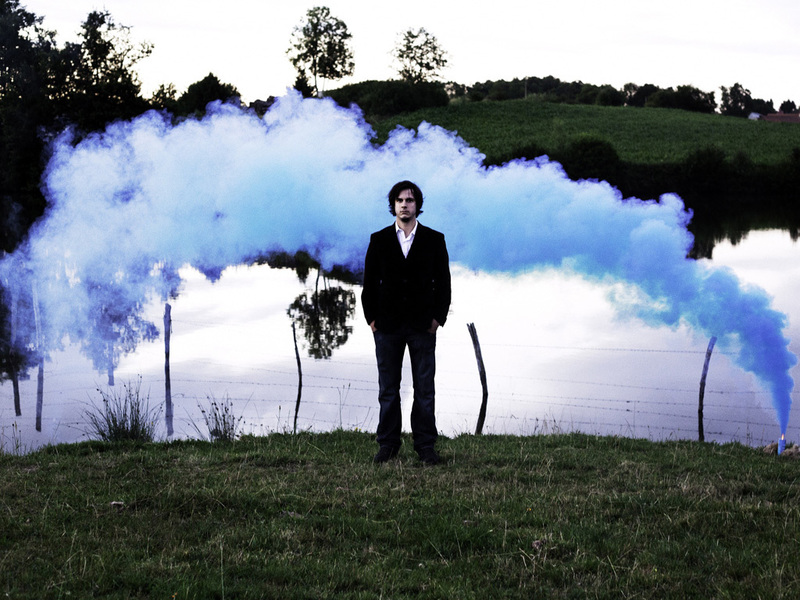 For her, like for others (Sébastien Tellier, Dominique Dalcan, Saul Williams…), Simon Dalmais used to work in the shadow. The ease with which he finally jumped into the light and appropriate past decades (60s and 70s), this gift of sculpting the ultimate melody, finally Simons Dalmais was right to wait until his thirty to take the big jump alone. Influenced by his training in classical piano, captivated by bossa masters such as Joao Gilberto or folk dreamers such as Nick Drake, the Parisian might have inaugurated an incredibly welcoming virgin island.